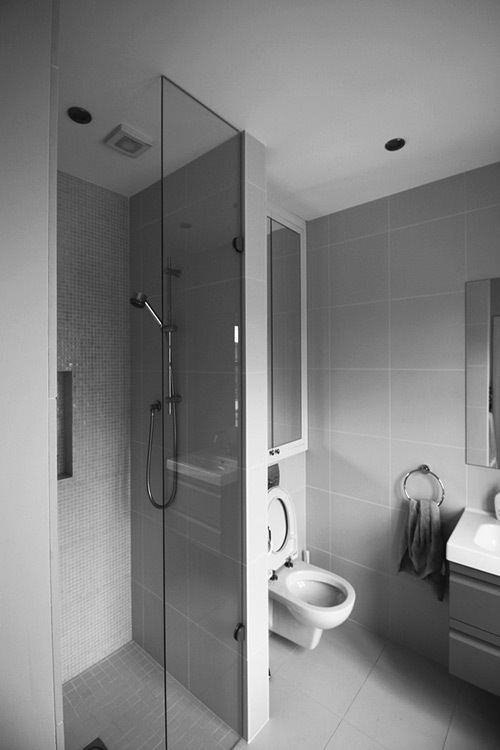 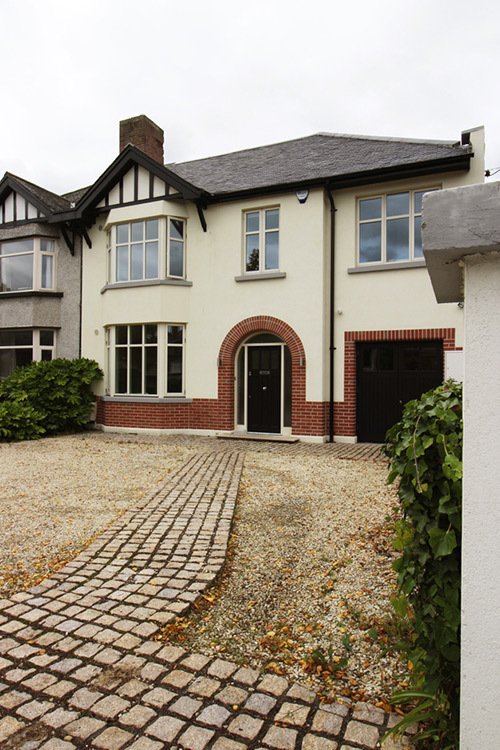 A project to renovate and extend a family home in Clontarf. 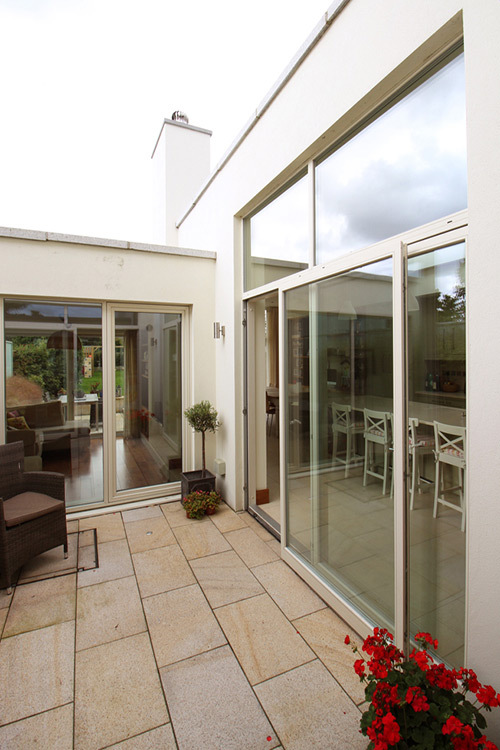 The rear extension opens onto a sunny garden terrace. 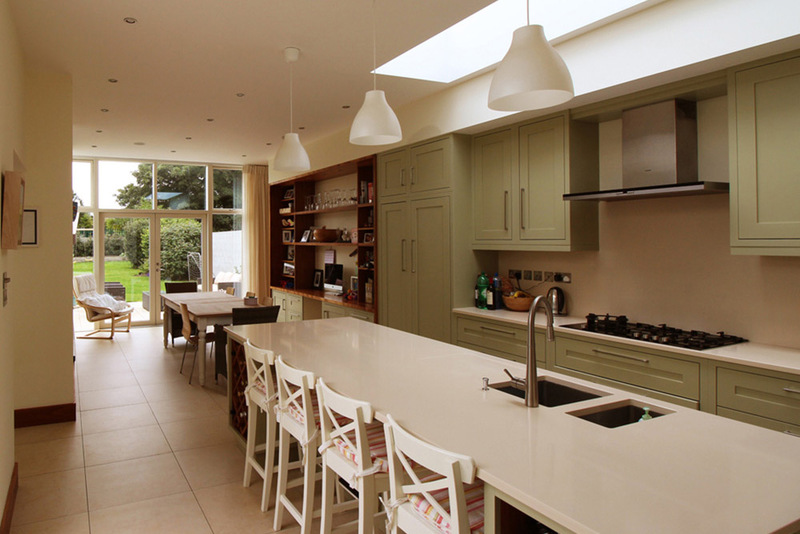 The provision of a light filled courtyard provides the open plan layout of the kitchen dining area with light and air. 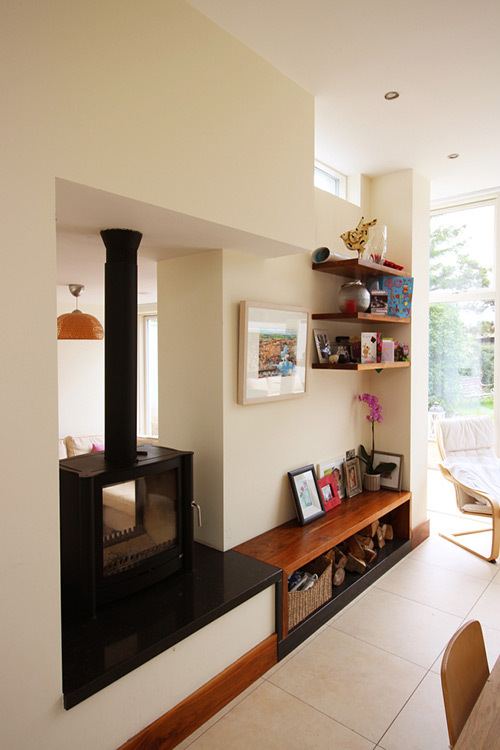 It allows the original rooms of the house to benefit from connection with the new extension while retaining a bright airy perspective. 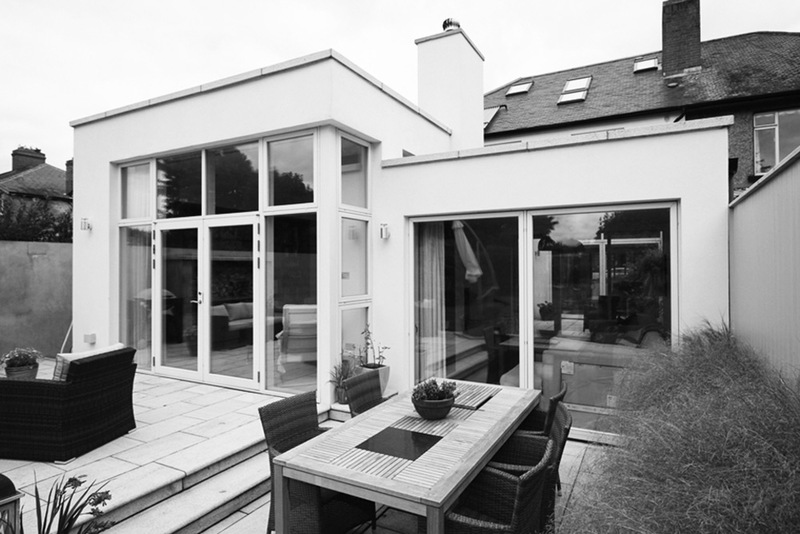 The combination of floor to ceiling glazing, rooflights and high level windows maximise the day and sunlight. 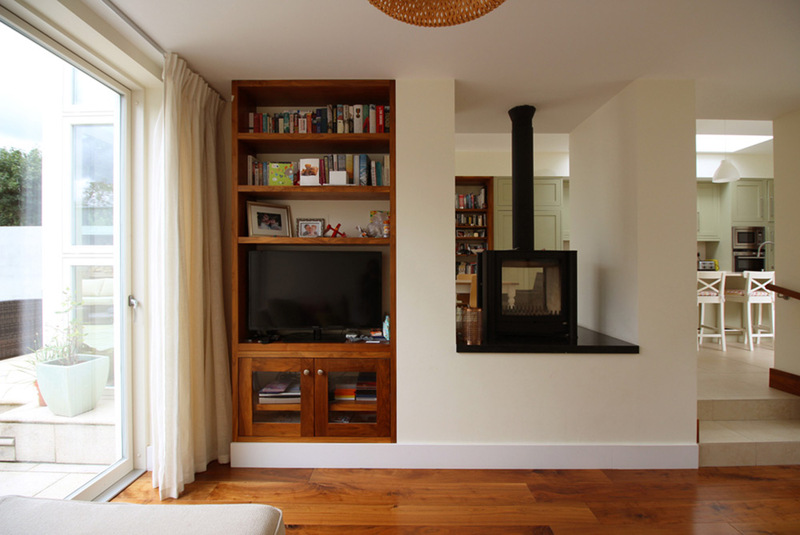 A two sided stove is used to separate a quieter sitting room from the main open plan space while maintaining the open plan feel. 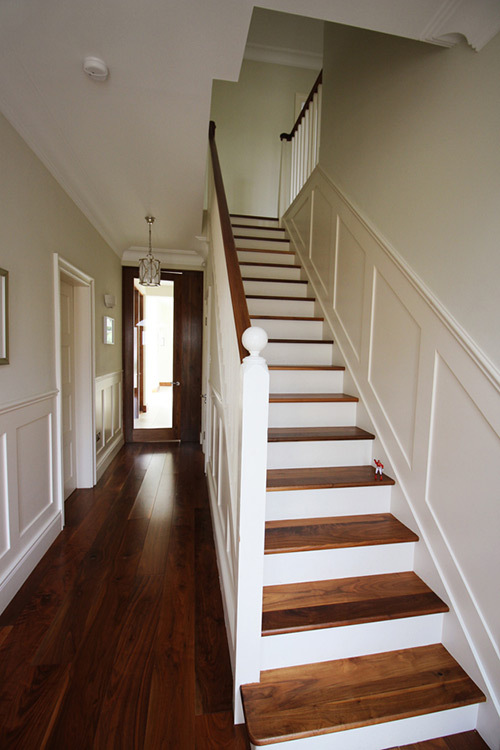 Warm walnut doors and floors line the hallway and stairs. 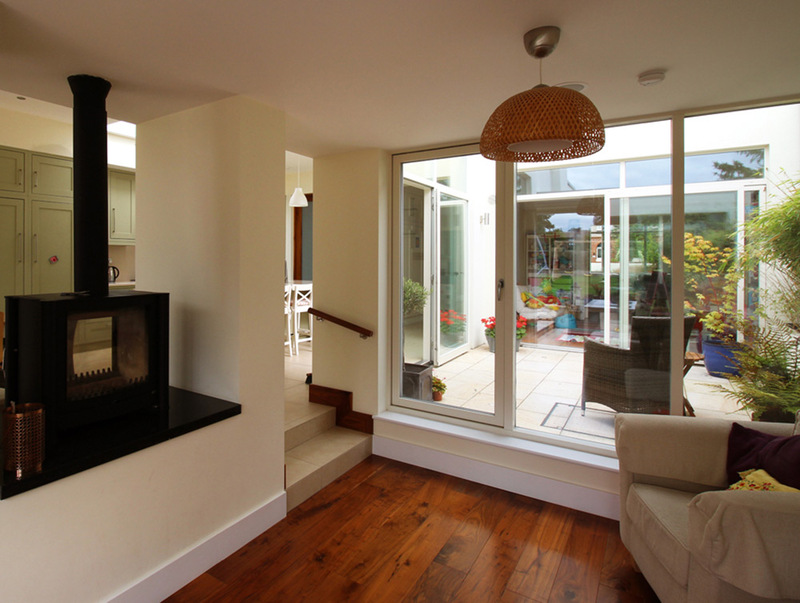 A full height glazed door provides views and light connecting the original house with the new extension area.